Adelaide met her future husband Jethro Jewell through her sister Emily Ruff who had been living in Fulham South west London. 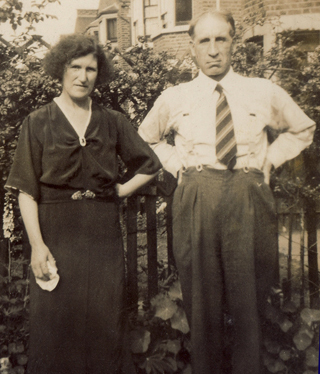 When they married in May 1931 Adelaide was still living above her uncle Lambert's shop at 106 Highbury Park. The two witnesses were Adelaide's sister Lilly (L. Digby) and Lilly's Daughter Blanche (B E Digby). The couple then moved to a new home at 44 Revelon Road Brockley SE 4. Adelaide's two children, Herbert (aged 16) and Ruby (15) both moved with them. 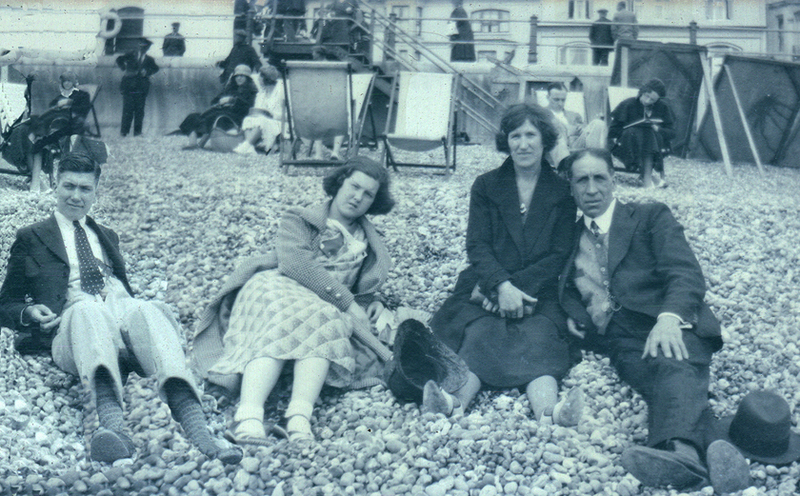 The photograph below date from the early 1930's and shows the family on a day trip to Hastings. Left to right are Herbert Harris, Ruby Harri, Adelaide Jewell and her husband Jethro, who was known within the family as Jack.